Get ready for the yummiest bowl of porridge you’ve ever tasted! Coconut Porridge with Poached Pears will be your new favorite breakfast. Hearty, satisfying, love in your tummy, full of energy breakfast. And it’s healthy too! Porridge is a word used for any cereal or grain that is cooked soft enough to eat. 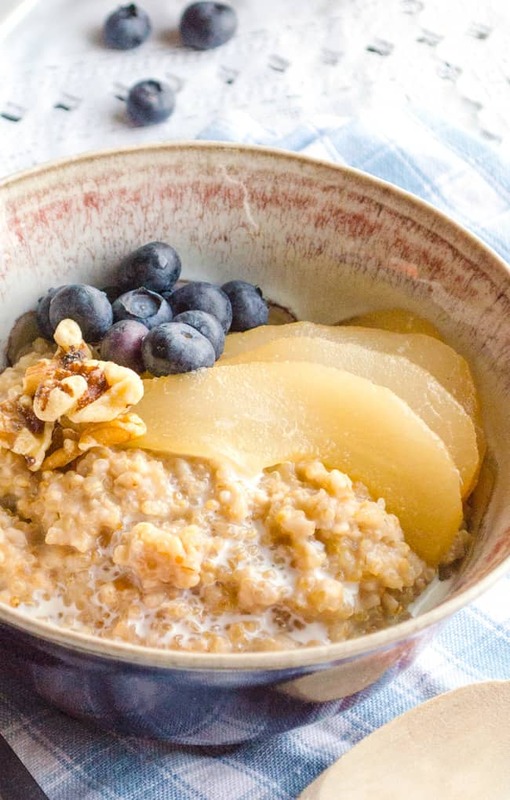 In this recipe for Coconut Porridge with Poached Pears I use steel cut oats and quinoa cooked in a coconut milk beverage I get at Trader Joe’s. (NOT a can of coconut milk.) Just cooking it up smells so sweet. I wish I had been the genius who thought of cooking oatmeal in coconut milk first. Cuz it really is genius. 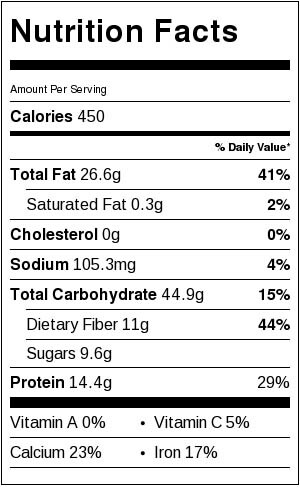 I was inspired to create this porridge from a number of sources, and for a number of reasons. Mostly I wanted to get creative with some food items I have in the pantry that needed to be eaten. I wanted to try pears because I had a whole bowl of them on the counter that were staring me in the face. Hello pears in my oatmeal! As far as cooking quinoa and oats together, it’s best to cook them separately and combine them together afterwards. Trust me I’ve learned this the hard way. Quinoa needs to steam, covered, for about 15 minutes, and you can do this while the Steel Cut oats are simmering on the stove. If you have fresh ripe pears on hand, they’ll taste great too, however poached pears are softened and a bit easier to eat with our porridge. I place my Vanilla Cinnamon Poached Pears in the slow cooker right before I go to bed and they are perfectly cooked by morning. I dish myself up some quinoa-oatmeal, thinly slice a poached pear-half and add it to my bowl, then pour on a bit more coconut milk and sweeten with a bit of honey. Country goodness that will start your day off right! 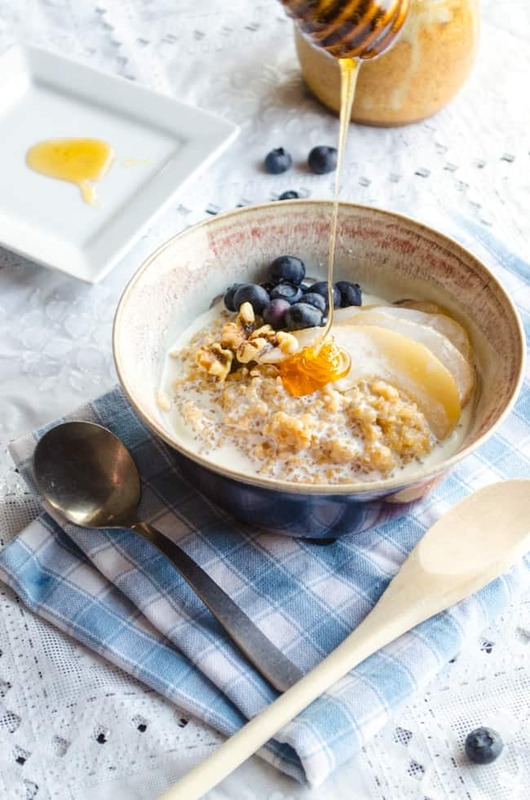 Hearty, satisfying breakfast porridge that will satisfy your hunger and give you great energy to start your day. Pour 4 cups of coconut milk into a large pot and set heat to medium high. Once boiling, stir in the oats. Bring to a boil, then turn the heat down to medium low and simmer uncovered for about 20 minutes. While the oats are simmering, Place quinoa and 3/4 coconut milk in a large microwave safe bowl. Cover with a vented lid or plate (steam must be able to escape) and microwave for 6 minutes. It will boil rapidly, watch carefully so it doesn't boil over. Remove and stir. Reheat for about 2 minutes, covered, and let it sit for about 10 to 15 minutes. When both grains are cooked, stir them together in one pot. Slice pear halves into thin slices and place on top of the porridge in each bowl. Sweeten with honey if desired. Add walnuts or blueberries to garnish and serve.